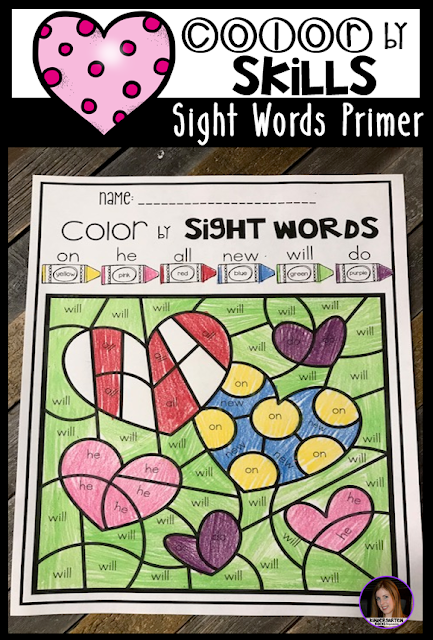 Color by Skill activities is exactly what you need to supplement your math and literacy centers in preschool, kindergarten and first grade with cute Valentine’s Day Activities! Color by Numbers 1-10 was created and designed to help students identify the numbers 1-10 and increase their number order recognition skills. 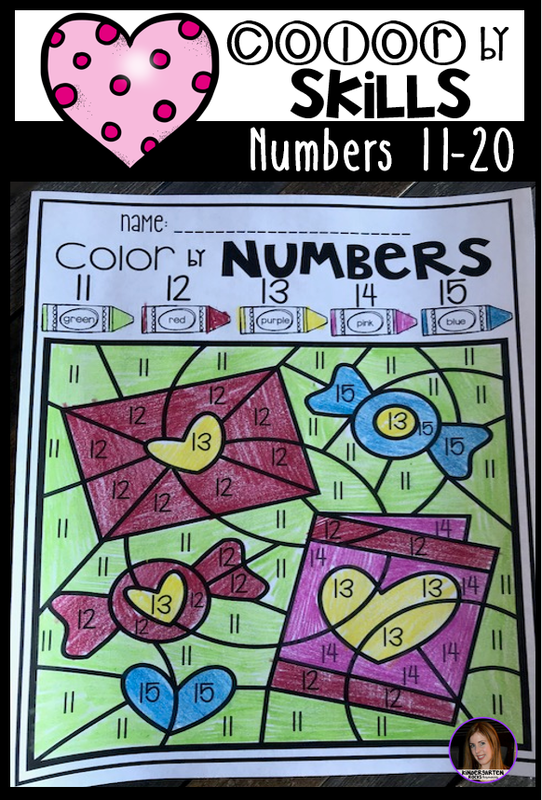 Number identification sets the foundation for young children to learn more complicated math concepts. When children are able to easily recognize numbers their confidence will soar encouraging a positive relationship with math. Color by Numbers 11-20 was created and designed to help students identify the numbers 11-20 and increase their number order recognition skills. 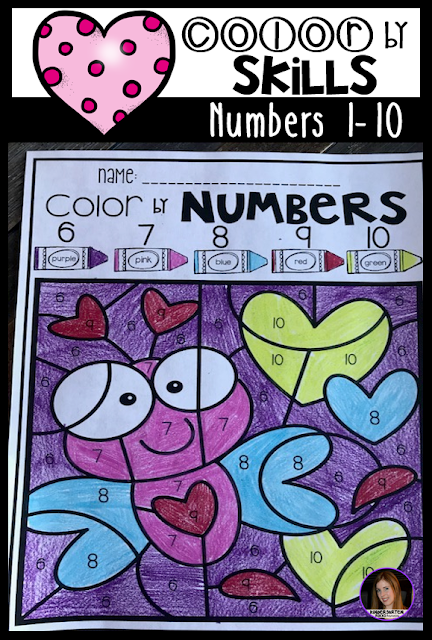 Number identification sets the foundation for young children to learn more complicated math concepts. When children are able to easily recognize numbers their confidence will soar encouraging a positive relationship with math. Color by ABC’s was created and designed to help students recognize uppercase and lowercase alphabet letters in a developmentally appropriate way. Letter identification from my experience is an early indicator of reading success in the future. 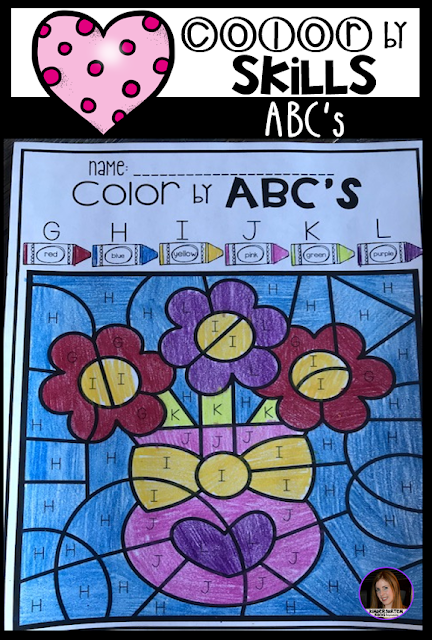 Color by ABC printables focus on 5 letters at a time to help students recognize the differences between letters. The letters are arranged to help students visualize the letters in alphabetical order. 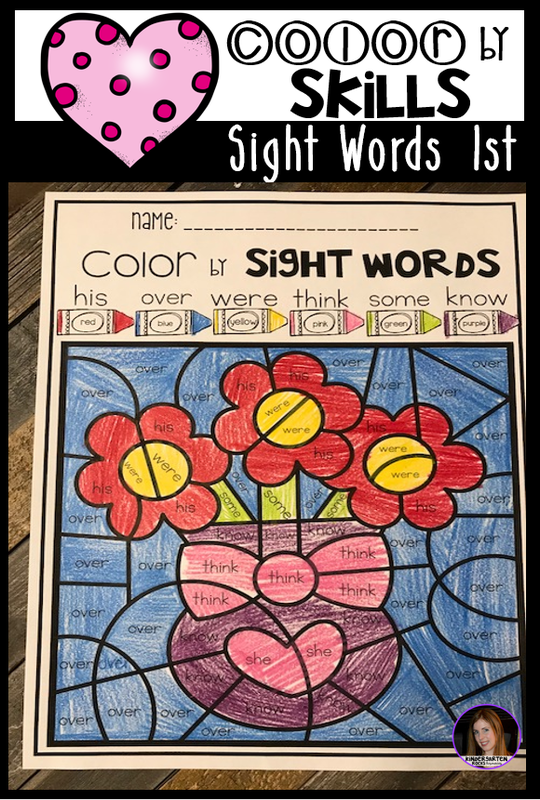 Color by Shapes was created and designed to help students observe, visually discriminated, compare and categorize shapes. When a child is able to recognize and name shapes it strengthens their ability compare and contrast similarities and differences in the world around them. 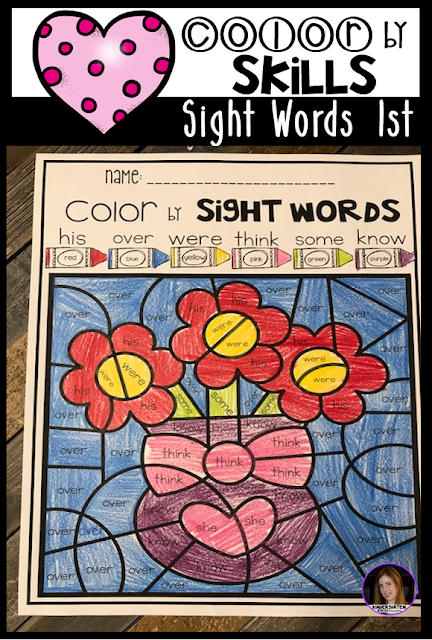 Shape name identification will give children a descriptive set of vocabulary words to help communicate what they observe with adults and children. 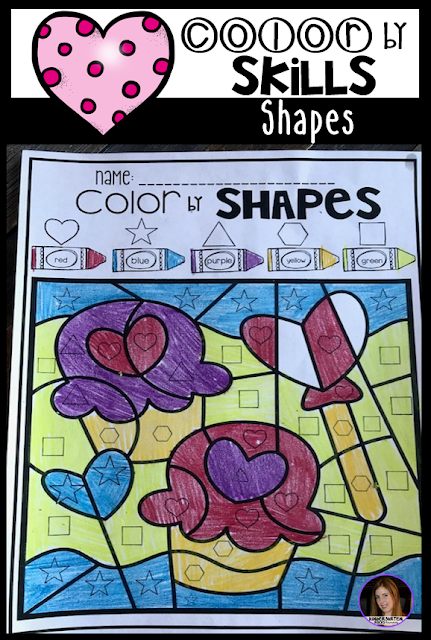 Shapes are the first symbol students will identify. This will help children identify more complicated symbols like letters and numbers in the future. 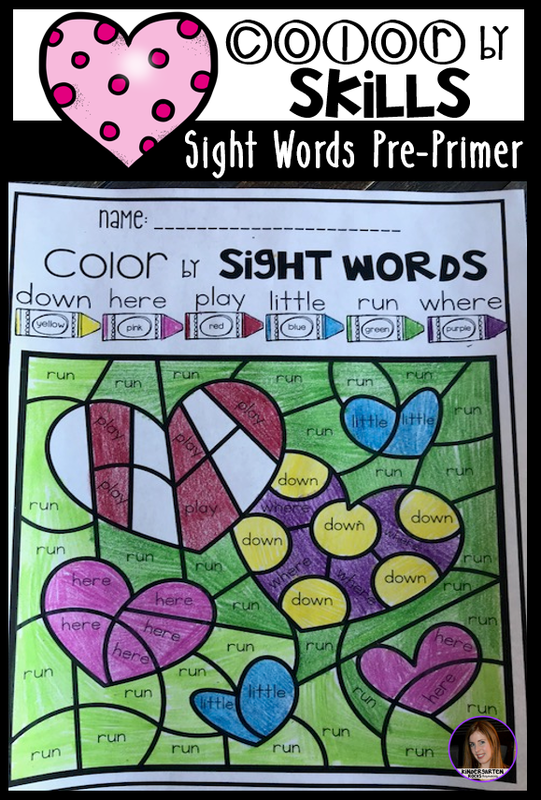 Color by Sight Words Pre-Primer, Color by Sight Words Primer and Color by First Grade Sight word activities were created and designed to help students learn high frequency words in a developmentally appropriate way. Color by Sight Word printables encourage students to not focus solely on memorization, but to also investigate letter sound association, letter patterns and spelling, match single letters and pairs of letters and common spellings for blends and sounds. 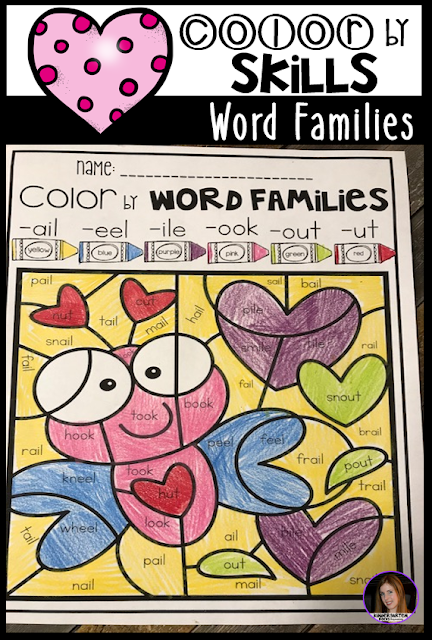 Color by Word Families was created and designed to help students recognize and identify predicable patterns in words. 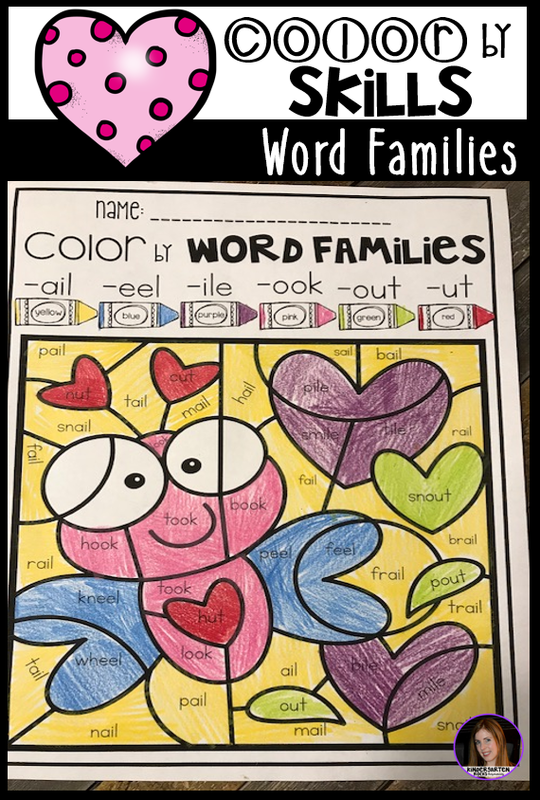 Color by Word Family printables encourages students to find word “chunks” in simple and more complicated words. 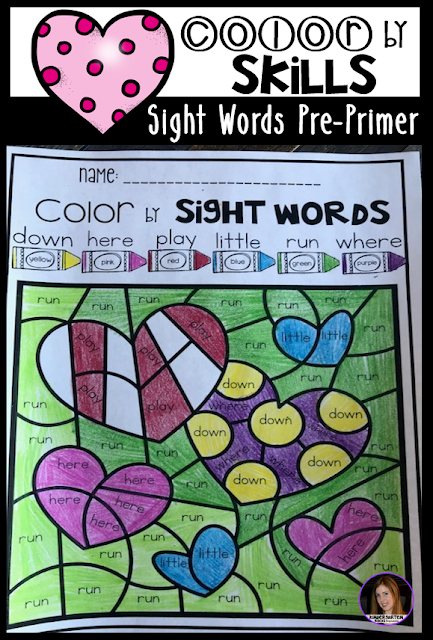 The ability to identify patterns in words will help students spend less time decoding new words and more time on reading comprehension.